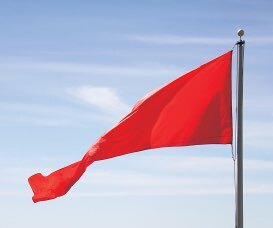 Judging from the reactions I've seen in various forums, there's a little confusion as to what this actually is. That's understandable because there is a lot of information to unpack in Hornady's technical document. Ballistic models are usually described by engineers in terms of degrees of freedom (DOF). My earlier article on ballistics solvers has some additional information on the topic, but the simple version is that any rigid body (such as a bullet) can have its position described by six numbers, or degrees of freedom. The first three are translational - range, windage, and elevation. These first three degrees of freedom are by far the most important - they describe the bullet's location in space, which is what we care most about. The second three DOF describe where the bullet is pointing - pitch, yaw and roll (or spin). Most commercial ballistics calculators ignore the rotational DOF and focus only on the translational DOF. These Point Mass (PM), or 3DOF, calculators do this by assuming that the bullet is always pointing into the air flow, which is generally a pretty good assumption because we are talking about spin stabilized projectiles. This greatly simplifies the math, and has little cost in terms of predictive accuracy. However, there are some small, but significant effects that will not show up in a 3DOF model - things like spin drift, bullet stability, and aerodynamic jump - which is why ballistics engineers will sometimes use complex 6DOF models to get a full picture of what is happening at all stages of a bullet's flight. The trouble with 6DOF solvers is that they require lots of data that is typically out of reach of civilian shooters. Lapua is the only manufacturer that has developed a commercial 6DOF solver, and they have so far been tight-lipped about the some of data that goes into it. However, there are some ways that we can get at some of the more interesting secondary effects like spin drift without resorting to a full 6DOF model. The traditional way to do this is to use a Modified Point Mass (MPM) model - which is often referred to in (sloppy) short hand as a 4DOF model, because it accounts for some rotational effects. This is where I take issue with Hornady's video above. In what I assume was an attempt to put complex concepts into layman's terms they state that angle of attack is the 4th degree of freedom. That's not strictly correct. Angle of attack is composed of two degrees of freedom - pitch and yaw. Hornady's video more accurately describes a 6DOF model, but we'll give them a pass on that because it's tough to make a short video for a general audience on technical topics. A more accurate description is that Hornady's calculator takes the angle of attack into account in a limited way. So what exactly is the MPM that Hornady bases its 4DOF calculator on? It's a greatly simplified version of the full 6DOF model that was developed by military ballisticians. The most prominently referenced paper on the topic was authored in 1966 by BRL scientists Robert Lieske and Mary Reiter. The motivation for MPM was to save computing resources over the 6DOF method while providing better accuracy for artillery trajectories than the Point Mass method. Remember, in 1966 computers were huge, slow, and expensive. According to Lieske and Reiter, the MPM model takes twice as long to calculate as the Point Mass model, but the 6DOF model takes as much as 1,000 times as long. Today, this is not a concern - a 6DOF model can run plenty quickly on a smart phone. But in 1966, MPM was a major convenience for engineers. The main benefit of the MPM is that we can calculate the yaw of repose, or average yaw of the bullet during flight. (Bullets don't fly perfectly straight into the air flow, they fly at a slight yaw to the right for a right hand twist). This, in turn, gives us the ability to calculate spin drift. For the artillery rounds that Lieske and Reiter were concerned about, this is a significant improvement over Point Mass. For competitive long range shooters, it's less important, but still significant if you are trying to make first round hits at very long range (well past 1,000 yards). 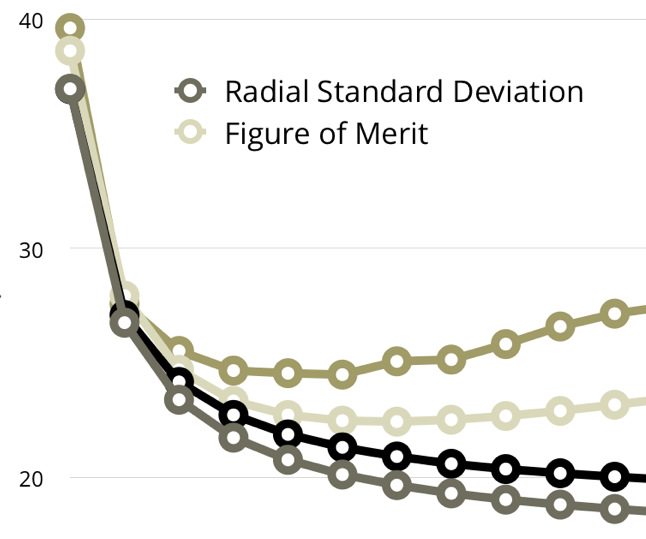 So while the MPM method was developed for reasons we don't particularly care about as modern long range competitors, it does offer some benefits that we can appreciate - namely the calculation of spin drift. Hornady's video also mentions that they do away with BC's in their new calculator, instead using custom tables of drag coefficients for every bullet. It's important to note that this has nothing to do with MPM. You can use standard drag functions (BC's) or custom tables with either MPM or PM. 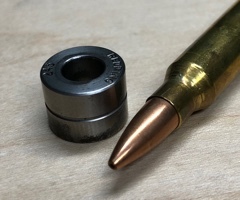 Lapua has for a few years now provided custom tables for their bullets for use in their PM calculator. Applied Ballistics also has offered custom drag function for some time now, although like Hornady, they do not to my knowledge release this data publicly - it's buried in their ballistics software. In my view, this is great. BC's and standard drag functions are good and convenient. They have served us well for decades. 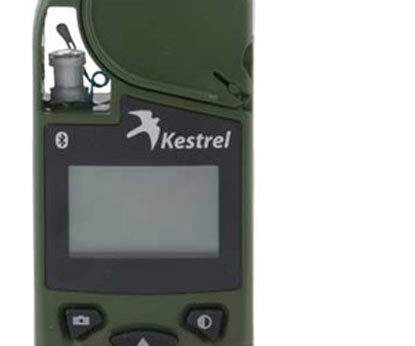 But now that Doppler radar technology seems to be spreading to the sport shooting industry, and no longer the purview of military development, I believe that custom drag coefficients will be the standard of the future. The combination of using custom drag tables and calculated aerodynamic coefficients in a MPM solver is a welcome addition to the world of sporting ballistics. 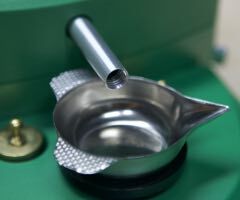 Hornady has gone to great expense to do this engineering, and it's my hope that those efforts will continue. Aerodynamic jump is a ballistics phenomenon whereby a disturbance of the bullet at the muzzle will cause a bullet to fly off in a different direction than intended. It can be caused by unbalanced bullets, in-bore tipping, or even the wind. The last case is the one addressed by Hornady's 4DOF calculator. Long story short, cross wind aerodynamic jump will cause a vertical deflection in the presence of a horizontal wind. Like the use of custom drag functions, aerodynamic jump is not a part of the MPM. But since the aerodynamic coefficients required by MPM are also the ones used to calculate cross wind aerodynamic jump, it was simple enough for Hornady to add a jump calculation to the calculator. There are two kinds of bullet stability - gyroscopic stability and dynamic stability. Both are required for the bullet to fly point-first. Both also require some of those pesky aerodynamic coefficients to calculate. However, a clever fellow by the name of Don Miller came up with a very good approximation of gyroscopic stability of gyroscopic stability that does not require these coefficients. The "Miller Formula" is widely used as a way to get a good estimate of gyroscopic stability, and as a starting point to get at cross wind aerodynamic jump. The Hornady calculator, on the other hand, makes use of the fact that (once again) the coefficients needed for MPM are the same ones needed to calculate gyroscopic stability from first principles. In theory, this should provide a more accurate result. But you have to have good coefficients. Unfortunately, nobody has come up with a simple way of calculating dynamic stability and as of this writing, and the only available (non-professional grade) product to do so is Lapua's 6DOF calculator. However, Lapua does a very good job with this, at least on paper. I haven't had the time to really investigate their 6DOF calculator yet, but I hope to soon. It's important to not overstate the impact of the MPM or Hornady's implementation of it. Yes, it's good. It's a step forward. But plain 3DOF solvers are still very good, especially when fed high quality radar-derived drag data. A 3DOF solver supplemented with some smart approximation of secondary effects can be incredibly accurate even at long range. Hornady's approach is more in line with old school military engineering practice, but only time will tell if the more complex math will yield better results than Applied Ballistic's (for example) simpler, more pragmatic approach that already provides incredibly accurate results. My own opinion is that the jury is still out as far as which approach will prove better in the long run. My hunch is that a 3DOF model with good data is plenty good for small arms fire, and the focus on getting high quality data for that should be front and center. But Hornday may prove me wrong and the more sophisticated math behind their 4DOF calculator may provide consistently better results. Time will tell. 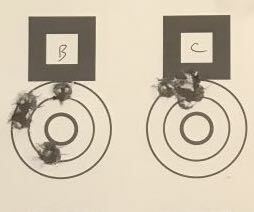 In either case, you have to be shooting well beyond 1,000 yards before these differences become significant. So if current methods, such as the enhanced 3DOF like the Applied Ballistics calculator work so well, why am I excited about Hornady's 4DOF calculator? For a few reasons. First, they've invested in a Doppler system which is a good indicator of more reliable drag data across the industry. That alone is worth celebrating. But second, their efforts into obtaining the coefficients required to calculate the MPM trajectories, gyroscopic stability, and cross wind aerodynamic jump have other uses. The one I am interested in was summarized in a paper written years ago by Bob McCoy, when he was investigating the dispersion of military small arms ammunition (pages 16-17 of the linked document). Most shooters think of aerodynamic jump as a wind effect - a vertical deflection due to a cross wind. But strictly speaking, that's not what aerodynamic jump is. Aerodynamic jump is just the mechanism by which that vertical wind deflection occurs. It turns out that the aerodynamic jump caused by imperfect bullets is a major contributor to a rifle's inherent precision. It also turns out that some bullets are more sensitive to this aerodynamic jump than others. Bob McCoy (summarizing McShane, Kelly, and Reno's classic text) defined a simple equation for this sensitivity factor as a function of rifling twist. Hornady now possesses the data to publish jump sensitivity for at least some of its bullets. 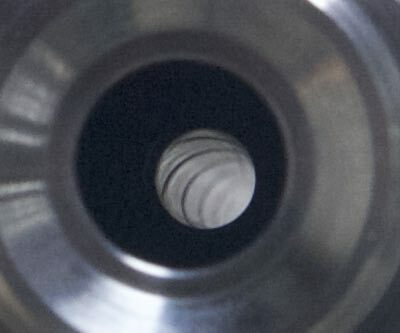 That means that we should be able to tell which bullets have more raw inherent accuracy potential and weigh that against the bullet's drag characteristics. I, for one, would love to see that data. 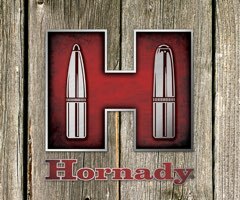 Hornady has made four separate and welcome advancements with their 4DOF calculator, all of which are derived from their efforts to calculate and/or measure the aerodynamic characteristics of their bullets. 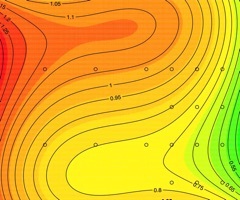 The first is the introduction of custom radar measured drag data. 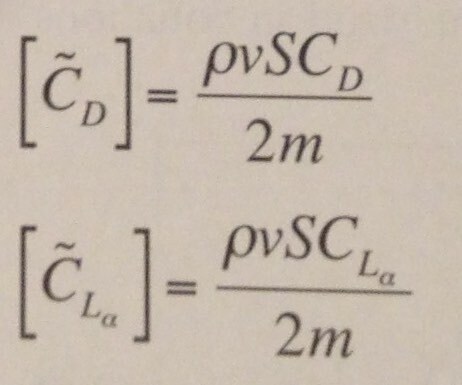 The second is the use of aerodynamic coefficients to calculate aerodynamic jump due to a cross wind. The third is the switch from Point Mass (3DOF) to Modified Point Mass calculation method, which allows for detailed calculations of spin drift. The fourth is the more precise calculation on gyroscopic stability. All combined, it makes Hornady's offering one of the most technically sophisticated calculators on the market. Overall, I'm very pleased with Hornday's first efforts at elevating the field of sporting ballistics. I do hope they follow Lapua's lead and release their drag data, if not the full slate of aerodynamic coefficients. I'm sure I'm not the only one who would like to see it. Practically, you don't need to worry about switching to the Hornady calculator if you are already happy with yours. It's certainly worth keeping an eye on and should provide good results. In other words, it's a solid step in the right direction, not a huge leap. It is certainly an exciting time to be involved in long range shooting.